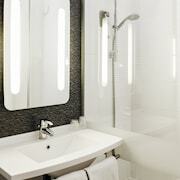 Ibis Paris Meudon Velizy features a fitness center and complimentary bicycles. The hotel offers a restaurant. A bar/lounge is on site where guests can unwind with a drink. A computer station is located on site and wireless Internet access is complimentary. Business-related amenities at this 3-star property consist of a business center and a meeting room. This business-friendly hotel also offers a terrace, multilingual staff, and a garden. Limited onsite parking is offered on a first-come, first-served basis (surcharge), and a car charging station is available. 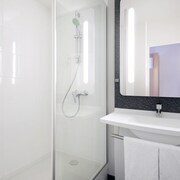 Ibis Paris Meudon Velizy is a smoke-free property. 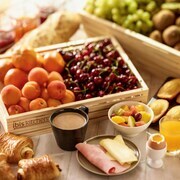 Situated near the boardwalk, this hotel is 0.9 mi (1.5 km) from Inovel Business Park and within 3 mi (5 km) of La Seine Musicale and National Museum of Ceramics. Parc des Princes and Paris Expo Porte de Versailles are also within 6 mi (10 km). A restaurant, a fitness center, and a bar/lounge are available at this smoke-free hotel. WiFi in public areas is free. 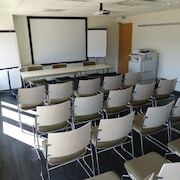 Other amenities include self parking, a business center, and a meeting room. All rooms are soundproofed and offer free WiFi and showers. For a bit of entertainment, flat-screen TVs come with satellite channels, and guests will also find premium bedding and phones. 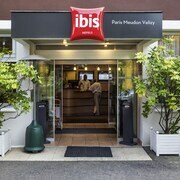 Ibis Paris Meudon Velizy offers 94 air-conditioned accommodations with blackout drapes/curtains. Beds feature premium bedding. 26-inch flat-screen televisions come with premium satellite channels. Bathrooms include showers. This Meudon hotel provides complimentary wireless Internet access. Business-friendly amenities include desks and phones. 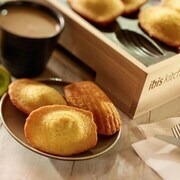 Ibis Kitchen - This restaurant specializes in French cuisine and serves lunch and dinner. Open select days.